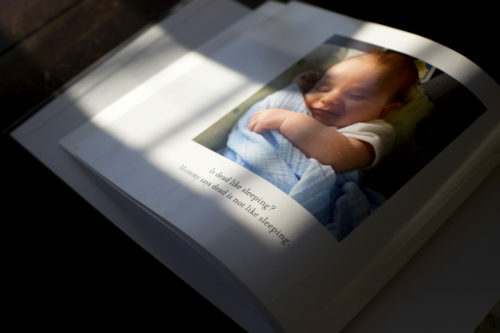 Holly and Eric High made a book for their daughter, Ellie, to help explain what happened to her brother James. There had been no warning. As usual, James had woken before dawn on Sept. 29, 2015. He didn’t cry when he stirred; instead, he made this babbling sound, almost bird-like, more curious than upset. Holly scooped him from his bassinet to breastfeed. Four days earlier, his pediatrician had declared him “perfectly healthy,” and in the gathering light, he looked it, wide-eyed and fat-cheeked at 4 months old. Summer was slipping into fall, the Highs settling into a new routine. That week, Ellie, their 2-year-old, had started ballet. The month before, James had joined her at a home day care run by a neighbor, who’d quickly become their kids’ honorary third grandmother, soothing them through milestones, nudging Ellie from bottle to sippy cup. “She taught us how to be parents,” Eric often said. They dropped the kids off with her around 8 a.m., Ellie running in to play with her friends. James’ eyes crinkled closed when he smiled. For years afterward, their bodies would remember the time of day when it happened: Whenever Holly was sitting at her desk and felt a blinding rise in panic, she knew it was around 1:30 in the afternoon. The police reached Eric first, calling and calling until he stepped out of the chemistry lab he was teaching at Tufts University. James was being taken to Lawrence Memorial Hospital. They wouldn’t tell Eric what was wrong. It was Holly who called the day care from her actuarial office in downtown Boston, who heard their neighbor coming apart on the phone. James never woke from his nap, she said. When she checked on him, his skin was blue. James was no longer James by the time they got to the hospital. He was tiny in the middle of a full-sized bed. The team had been working on him for a while — jolting him with epinephrine, coaxing his lungs to breathe — and had gotten no response, they told Eric when he arrived. They wanted to know when they should stop. “I need you to keep working on him until my wife gets here,” he remembered saying. He held James’ hand while the doctors tried to bring him back to life. Holly collapsed as soon as she walked in. “I just want to hold him,” she said again and again. He was declared dead at 2:34 p.m. 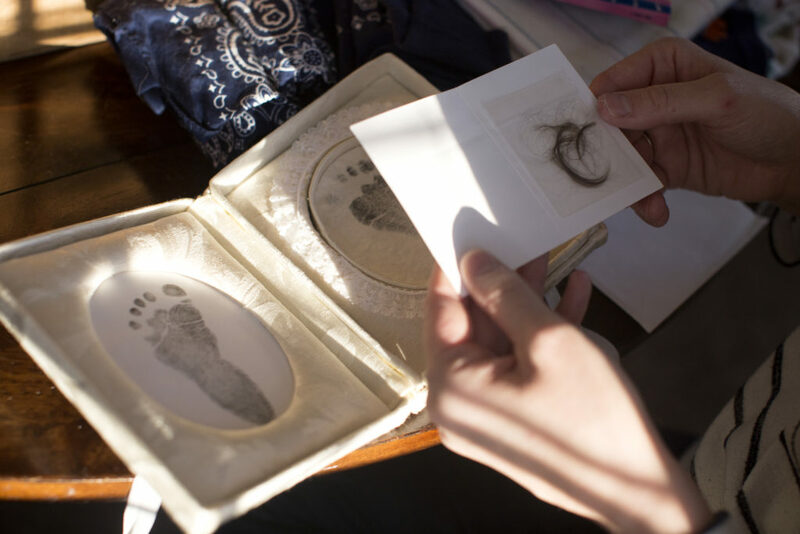 Someone remembered the mementoes that hospitals collect for the family when a baby is stillborn. They pressed the soles of James’ feet into ink and made prints, right and left, slid them into a frame frilled with white lace. They cut a lock of his hair. Then, they swaddled him, pulled on a newborn’s hat, and handed him back to his parents to hold under the supervision of a Medford detective. A state trooper stood nearby. The Highs, both then 30, were grateful the police had called their family members and arranged for Ellie to go to a friend’s house. Now they wanted the officers to go away. They answered questions in a daze. No, they had no concerns about the day care provider. James had been a bit fussier than usual, but it was just a growth spurt. He’d been drinking mostly breast milk with a small supplement of formula — Similac, the blue can. No, he’d had no fevers. Yes, he always slept on his back. When the time came, Eric refused to pass James to a stranger. He was allowed to carry the body to the edge of the premises himself, down a long hallway toward the loading dock. The medical examiner’s employee was waiting. He walked back to Holly, and recalls being told, “OK, you guys can go home.” Eric laughs quietly at the memory of it. In retrospect, the wording probably wasn’t that callous, but that’s how it felt right then: Once Eric and Holly had answered questions and given up their infant, officials had no use for them. The Highs were left wondering whether they’d somehow done something wrong. “I don’t think I can drive,” Eric replied. Holly holds prints of James’ feet and a lock of his hair. It’s hard to imagine anything that could deepen the grief of losing a child. Parents who’ve experienced it echo King David: You wish you could have died instead. The tiniest actions — controlling a car, even climbing out of bed — seem insurmountable. You fill out forms, make funeral arrangements through a fog. These protocols are designed to protect. Often they do. But how an officer or medical examiner carries them out can sharpen the suspicion inherent in any investigation, heightening parents’ self-blame even when there’s no evidence of wrongdoing. 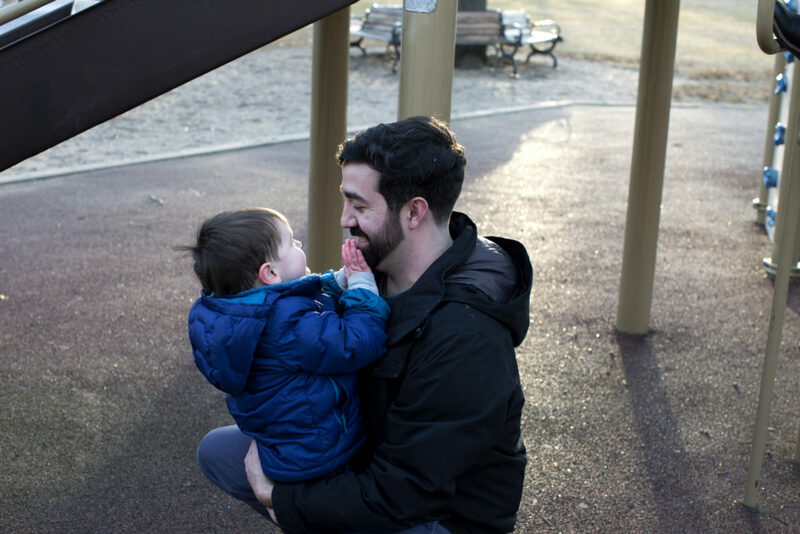 As director of a Boston Children’s Hospital program that studies unexpected child deaths, Dr. Richard Goldstein hears such stories all the time. An officer tells parents their house is a crime scene; a state employee says no, you can’t hold your baby, we’re putting him into a body bag. The rate of “sudden infant death syndrome” plummeted — and kindled that old nemesis of statisticians everywhere, the conflation of risk factor and cause. Americans mistakenly thought that belly sleeping, which can increase a baby’s likelihood of dying, was the clear-cut reason someone’s infant died. Add in a 1997 true-crime thriller about infanticide — “The Death of Innocents” — and it’s an easy jump to the myth that every unexplained infant death is either carelessness or abuse. “People think SIDS is no longer a problem … but it hasn’t gone away,” said Dr. Rachel Moon, who chairs an American Academy of Pediatrics task force on safe sleep. The decline was real at first — a triumph attributed largely to “Back to Sleep,” but also to upticks in breastfeeding and prenatal care alongside decreases in teen pregnancy and maternal smoking. Then, toward 2000, the downward slope of SIDS began to coincide with increases in other, similar causes of death. What looked like fewer babies dying, the evidence suggested, was now a trend of tragedies being given other names. The boundaries are still blurred, two decades later. It’s partially a problem of definitions. 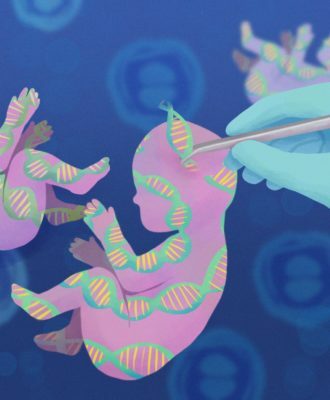 Doctors coined the term SIDS in 1969, hoping to reduce stigma, but, as Goldstein explained, “it’s sort of an anti-category” — a clustering of infant deaths for which no explanation can be found. That leaves a lot of gray. And the United States is a patchwork of postmortem practices. What Dr. Sally Aiken, medical examiner of Spokane County, Wash., calls “sudden unexpected death in infancy,” her counterpart elsewhere might designate “cause unknown” or “accidental suffocation and strangulation in bed.” Because such ways of dying seldom leave distinctive markings on a body, much depends on observations at the scene. 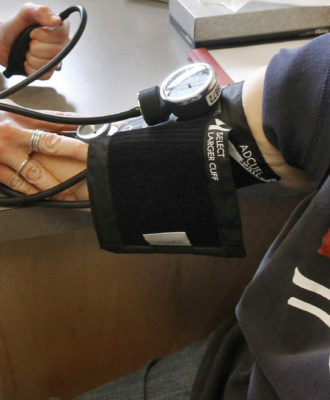 Aiken knows that across some state or county lines, risk factors get listed as causes. “It certainly does skew statistics,” she said. A look at how sudden infant death syndrome (SIDS) numbers have changed since 1990. Lumped together, these categories form one of the leading causes of infant mortality in the U.S., after complications of birth and congenital defects: There were 3,600 cases in 2017. To Carrie Shapiro-Mendoza, an epidemiologist at the Centers for Disease Control and Prevention, there’s a pressing need to standardize the way these deaths are investigated and classified. The current system “leads to unreliable statistics … and impedes prevention efforts,” she said. Such thinking has a profound effect on parents. It’s sickening enough to know your baby died and science may have no explanation. It’s worse to wait months — or years — for an autopsy report, worrying the death is somehow your fault. It’s worse, still, to hear from the Massachusetts medical examiner’s office that your infant is “not a priority” and that you should not call again. Holly and Eric at home in Salem, Mass. 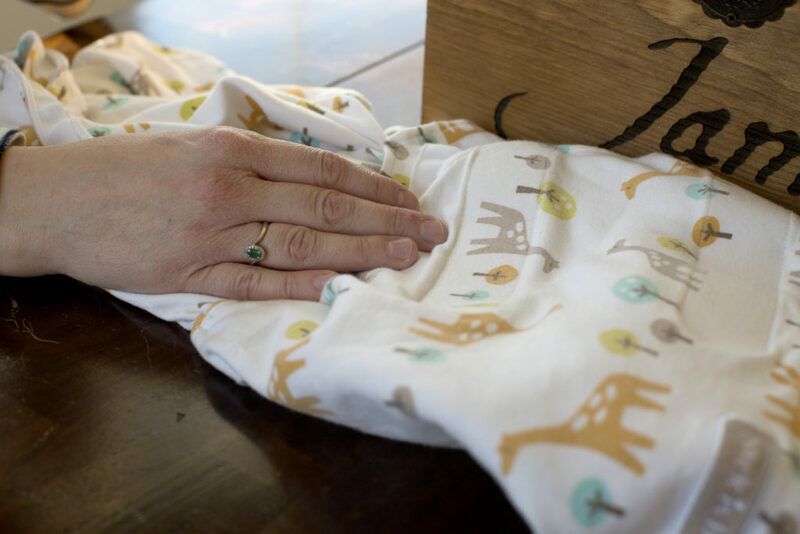 Holly holds James’ swaddling blanket, which they keep in a chest of his belongings. The police had to drive them home. Once there, though, the Highs couldn’t face a house all set up for James. They began to walk, their minds a blur, ending up at the day care. The police were gone now, bedding and bottles taken as evidence. They cried with the owner, told her it wasn’t her fault. There was no one to do that for them. The next morning, investigators from two child welfare agencies showed up, unannounced. The next week, the Highs got a bill for James’ trip to the emergency room: $1,365 for the attempted resuscitation, $2.87 for the bag of dextrose and water to keep him hydrated and fed. The hospital’s financial department called, asking if they intended to pay. 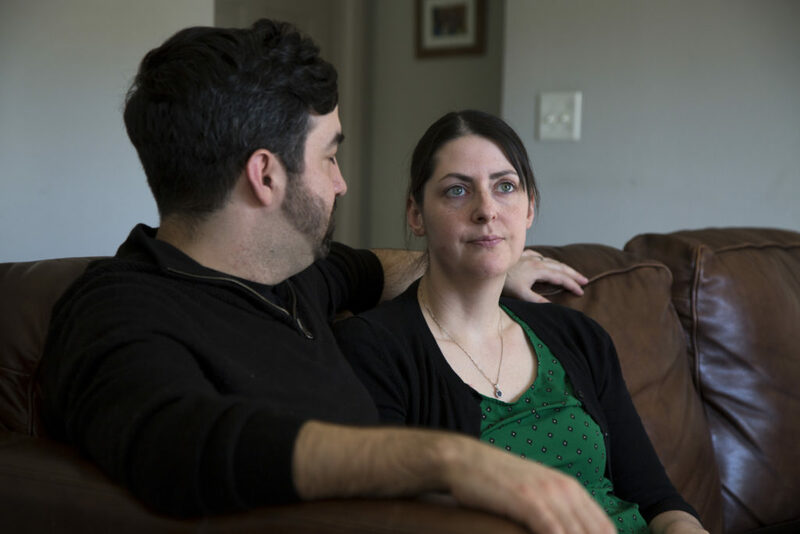 The medical examiner’s office was supposed to refer parents like the Highs to the Massachusetts Center for Unexpected Infant and Child Death, for free grief support. Parents’ isolation can be intense, explained Shari King, who directs that program. Friends become afraid to say the baby’s name. Some parents, consumed with loss, see their child’s face in the features of strangers. “People need to know they aren’t crazy,” King said. But the Highs heard nothing. Holly ached everywhere; all she wanted to do was sleep, clutching a piece of James’ clothing like a talisman. Her mother tried to coax her to eat. Everything was a reminder of his absence. She and Eric saw babies everywhere. They discarded the clothes they’d been wearing that day. Holly had loved nursing James, the intimacy of it. Now, she and Eric sat together crying as she pumped, only to throw her milk away. “I was really mad at my body for not knowing to stop,” she said. Holly and Eric had many more questions — all pressing, all seemingly unanswerable. Some they dealt with as best they could. To help explain what death is to their 2-year-old, they adapted a classic book on losing a sibling — “Where’s Jess?” — and read it to Ellie. She was the reason they kept getting up in the morning. When she woke in the middle of the night, wanting to talk to James, they closed their eyes and sat with her as she told her brother about her day. Other questions lingered. While Holly was pregnant with Ellie, a bright patch had appeared in her 20-week scan: a growth on the baby’s lung. “The best you can hope for is that she outgrows it,” they remembered the surgeon saying. “But if it outgrows her, then you’re not going to have a baby.” Even once she was born healthy, they were on tenterhooks, knowing she would need surgery in a year. When the procedure finally arrived, Eric forbade his mother from snapping pictures: No matter how adorable Ellie was in her hospital gown, this was a day they wanted to forget. Now, they couldn’t stop wondering if James’ death was somehow related. 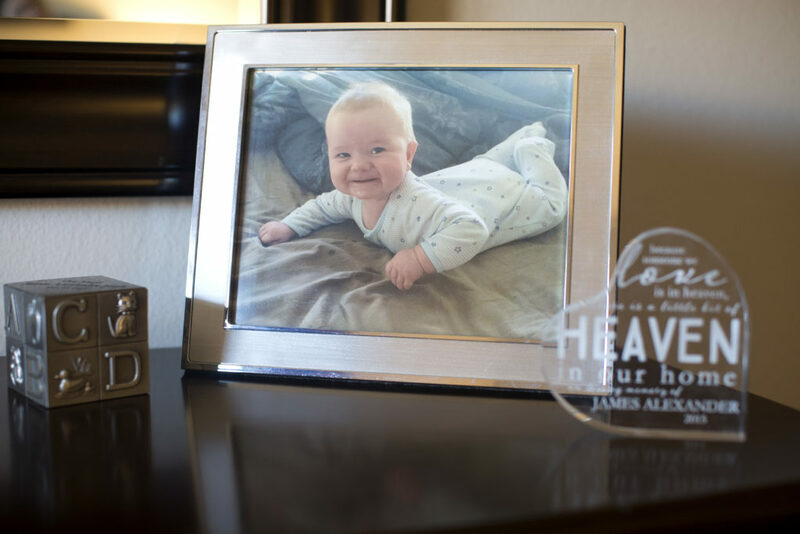 A photo of James at 4 months old and the urn containing his ashes (left) on the Highs’ bureau. 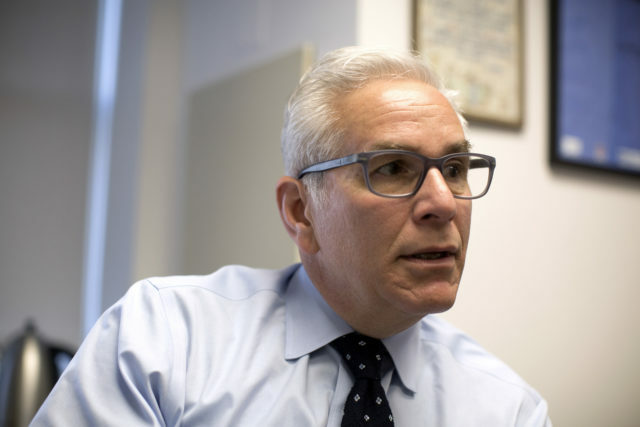 It was the accusation that struck Goldstein when he first witnessed the aftermath of SIDS. He was about 22, still years away from being a physician. His interest in the body had arisen only because his own was under attack. As a philosophy and ethnomusicology student at Wesleyan University, he’d spent a few months in south India, learning a lute-like instrument called the veena and unknowingly cultivating within his gut a wriggling mass of parasites. Standing in the throng outside a government clinic with a cup of his own diarrhea changed him. He saw just how much politics could scar the body. “Most of us were in line for something you could treat — or prevent with just good water — and they were all wrecked,” he said. To get a taste for medicine, he volunteered at an emergency room in his hometown of Vineland, N.J. “One morning, they brought in … I didn’t know what they brought in; it’s so unusual for an ambulance to pull up with no sirens and no lights,” he said. It was a bundle about the size of a shoebox, a tiny wrapped thing in the middle of a stretcher. The parents followed after, shadowed by a policeman. They looked utterly crushed, but the officer didn’t have the solicitous air of someone providing support; instead, he loomed, hand by his holster, walkie-talkie crackling. When the doctor unwrapped the child, a fly that had been trapped in the blankets buzzed out and up toward the mother’s face. She started to swat it, but then stopped, her hand in midair, as if, Goldstein said, she were suddenly afraid. Do you have a story about issues similar to those in this article? If so, we'd like to hear from you. 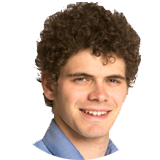 Please email reporter Eric Boodman at eric.boodman@statnews.com. We will not publish the information without first asking your permission. His team sifts through neurons and genomes, looking for patterns that might help explain these deaths, publishing findings in statistic-studded papers, but also giving parents a personalized report about their child — providing them the kind of science that cash-strapped state labs often can’t. Dr. Richard Goldstein in his office at Boston Children’s Hospital. 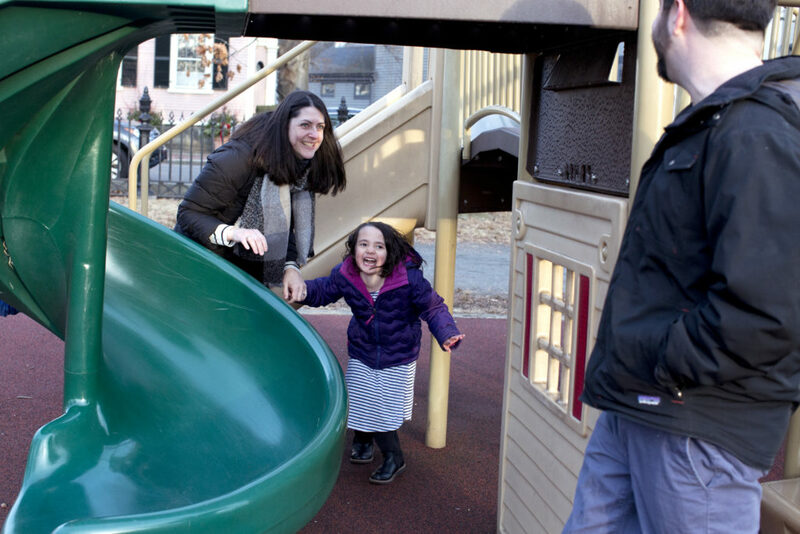 The Highs found Goldstein the way they found most support services: Holly searching online late at night, sending emails, one person leading to the next — a grief-stricken scavenger hunt. Among these hints and clues, Robert’s Program represented something new: Someone besides the medical examiner who might explain what happened. By their intake appointment in January 2016, three and a half months after James’ death, they still weren’t leaving the house for anything besides absolute necessities. They drove in silence, readying themselves to relive the trauma of that day. Goldstein led them into a small exam room. His focus, he explained, was the oft-neglected contribution of underlying biological abnormalities: metabolic disorders, cardiac disruptions, brain malformations that might rob infants of certain lifesaving reflexes if the baby’s airway were obstructed. That’s what his team would be looking for. But the program also offered another boon: the relationship Goldstein spent years forging with the Massachusetts medical examiner’s office. The agency provided tissue samples for Goldstein’s research. His program deepened the official search for a cause of death. They jointly explained their findings to the family in person at the end. That was part of the allure for the Highs. 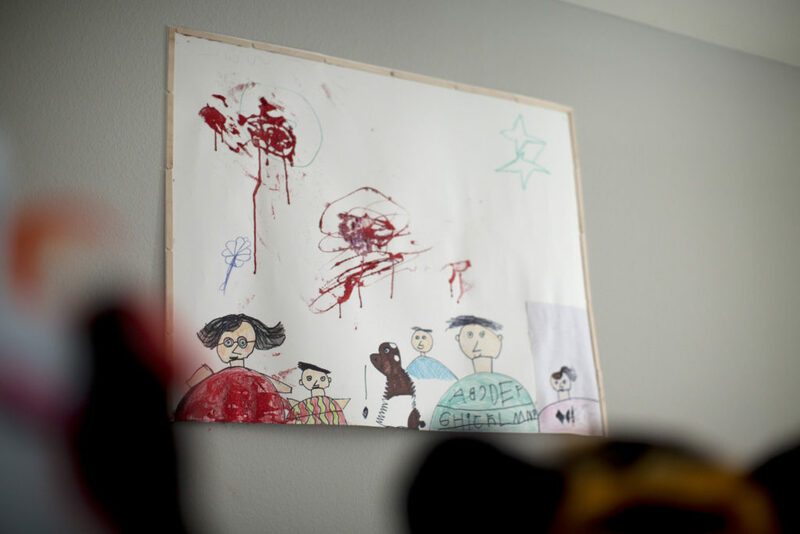 They signed consent forms, sketched family trees, gave blood. They answered Goldstein’s questions in the hope that it would help him answer their own: Should they worry about Ellie? Would having another baby mean this would happen again? They needed some kind of an explanation, and had heard nothing from the fortress-like agency that had taken their kid. Ellie’s drawing of her family hangs above her and Warren’s bunk bed. From left, Mom, James, Penny (the dog), Warren, Dad, and Ellie. Wedged between hospitals and highways, the Massachusetts Office of the Chief Medical Examiner is a squat construction of redbrick and gray, its concrete crumbling at the corners. Outside, ambulance drivers take cigarette breaks as traffic whispers on and off I-93. Inside, the place has been troubled for years: short-staffed, underfunded, backlogged, overwhelmed by the bodies of the opioid crisis. When the last chief retired, the agency was not meeting the national target of finishing 90 percent of autopsy reports within 90 days of examining the cadaver. Then, in October 2017, Dr. Mindy Hull took over the job. By August 2018, she’d met that goal — but not for infants, whose cases tend to be more complex. 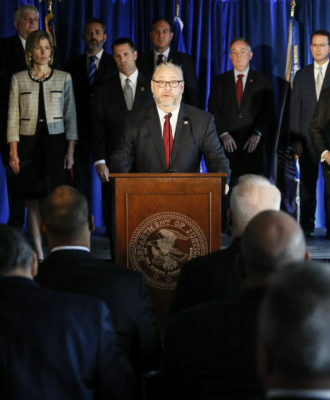 Sixteen of the 56 baby investigations from 2017 and 23 of the 57 from 2018 were still pending this month, said spokesman Felix Browne. What bereaved parents noticed about Hull’s tenure, besides the wait, was the slashing of support services. When the two licensed social workers employed as family liaisons left, Hull didn’t replace them. Instead, in a January 2018 email to employees, chief of staff Lisa Riccobene said she would handle any “family that is difficult to reason with” — a duty she kept after the Boston Globe revealed, months later, that she’d falsely claimed to have a psychology degree. Join STAT's Eric Boodman and Dr. Richard Goldstein and Dr. Sue Morris of Robert's Program at Boston Children's Hospital at 11 a.m. Friday, April 5, for an online chat. They'll discuss SIDS, the risk factors and biological anomalies that may play a role, and how best to support families affected by these cases. Hull’s staff stopped meeting with Robert’s Program families and Goldstein. Her office also stopped automatically making referrals to the Center for Unexpected Infant and Child Death; the center’s grief counseling caseload plummeted from 30 or 35 families a year to under 20. Cutting off these referrals, Goldstein worries, will exacerbate a problem that’s already apparent. Sudden unexpected infant deaths are significantly more common in poor, Native American, and black families, but those groups are less likely to get support services. Parents like the Highs didn’t stop needing support, though. All five Massachusetts families interviewed for this article described being stuck in limbo during the 10 months or more they spent waiting for news from the medical examiner. One mother said she was told to stop calling; another was told the documents would come whenever they were ready. Meanwhile, these parents were terrified their other children would stop breathing, too. Again and again, they’d touch their kids’ chests at night, to double-check. “It’s infuriating,” said Rebecca Smerling of Lexington, who is still waiting, 13 months after the death of her 5-week-old, Drew. Mancuso added that Riccobene called her, irate, demanding to know who suggested she go public. Six current or former employees confirmed they’ve heard Riccobene speak this way over the phone. They all described being horrified at how office representatives treat families and others. Fearing retaliation, they asked not to be identified. “The office does not believe it is appropriate to comment on private conversations between staff members and grieving families,” Browne said, adding that corrective action is taken if an employee is found to be unprofessional. When reached by phone, Riccobene said, “Do you believe everything these families tell you?” She asked if she could call back. Browne then emailed to say she had no further comment. Medical examiners inspire anger elsewhere, too: Being the face of the state at a parent’s worst moment is, to put it mildly, delicate work. 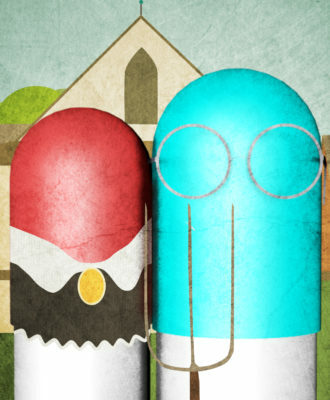 But like diagnoses, attitudes change from person to person, office to office. At a recent SIDS conference, Dr. Mary Ann Sens, who oversees postmortem exams for around 30 counties in North Dakota and Minnesota, explained her method to a group of researchers. She likes to speak to the parents three times, she said, once before and twice after the autopsy. She wants to know what the child was like, how the parents’ religious beliefs influence their understanding of death. She explains how risk factors are different from causes, answers their questions. 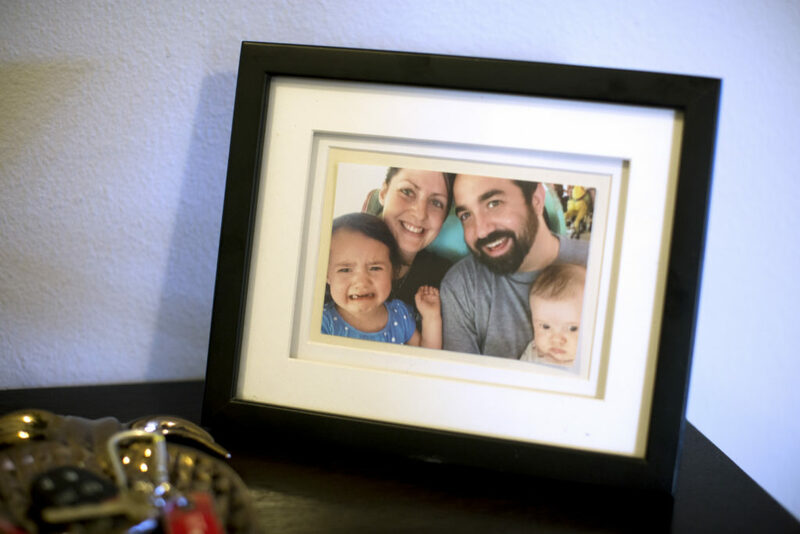 A photo of Ellie, Holly, Eric, and James in the entryway of the Highs’ home. James is about 3 1/2 months old in the photo, taken on a merry-go-round at a Pennsylvania amusement park. Holly didn’t know whether she could get pregnant again. Her grief for James was so physical, she wondered if her body had been primed for loss. 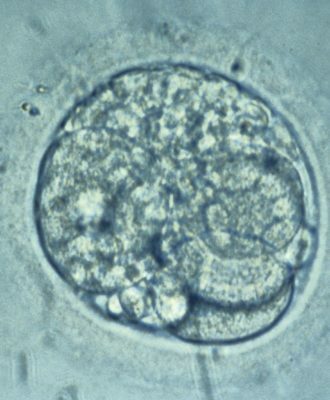 A miscarriage, in January 2016, came with a grim sense of confirmation. So she wasn’t sure whether to believe it when, one month after that, she slipped out of work at lunch hour to buy a pregnancy test, and it was positive again. The excitement she shared with Eric wasn’t what it had been for Ellie and James. They didn’t buy any baby stuff, didn’t bat around names. They knew how much could go wrong; every milestone was tinged with the terror of waiting. “I remember thinking … ‘I’m just going to lose all my babies,’” she said. Eric figured he’d be overwhelmed, though, and wanted witnesses he could trust. So he asked their kids’ pediatrician, as well as his older brother Heath, an intensive care physician in North Carolina. “The medical examiner … had become this faceless monster,” Eric explained. It was almost hard to believe when Dr. Faryl Sandler, the medical examiner in charge of James’ case, sat down at the table. Here she was, this doctor whose work had consumed every corner of their thoughts. Eric steeled himself. But before she opened her files, Sandler said she was deeply sorry for his loss. It didn’t put Eric at ease, exactly — nothing, at the moment, in that building, could put him at ease — but he’d needed to hear it, an acknowledgement from the medical examiner that James was a person with a family who deserved care. Suddenly, Sandler became a person for him, too. As unsatisfying as that answer was, Eric was relieved. James was a classic SIDS case. At least they had a name for what happened. Then it was Goldstein’s turn. His team had found, in James’ brain, mild malformations of the hippocampus, which they’d observed in other babies who’d died suddenly and unexpectedly. Layers of cells that should have been stitched together were pulling apart. Coils of tissue that should have looked the same in both hemispheres of the brain showed asymmetries. The most common of these anomalies — found, according to Goldstein’s research, in 41 percent of infants who’d died without explanation but only 8 percent of those with a clear cause of death — was also a classic sign of temporal lobe epilepsy. Goldstein couldn’t say whether James had died with or from the miswiring in his brain. The science wasn’t strong enough yet. He could offer only correlation, not causation, a hypothesis that James may have had a seizure. That’s when Eric lost it. Everyone in the conference room tried to reassure him. Only Holly could. Later that afternoon, as they wandered through their neighborhood by the Mystic River, she was firm: It wasn’t Eric’s fault. It wasn’t anybody’s fault. It just happened. The genetic variant proved, with more research, to be harmless, and Warren James High was born healthy on Nov. 7, 2016. The autopsy report finally arrived at the Highs’ in February 2018, more than 18 months after the meeting with the medical examiner, two and a half years after James’ death — so long that Eric had figured the summary was never coming, and had stopped rushing home before Holly so she wouldn’t have to find it in their daily scattering of mail. She opened the thick envelope and got halfway through the first paragraph before realizing that its clinical details made her feel sick. Holly, Ellie, and Eric on an unseasonably warm December afternoon at a playground near their home in Salem. 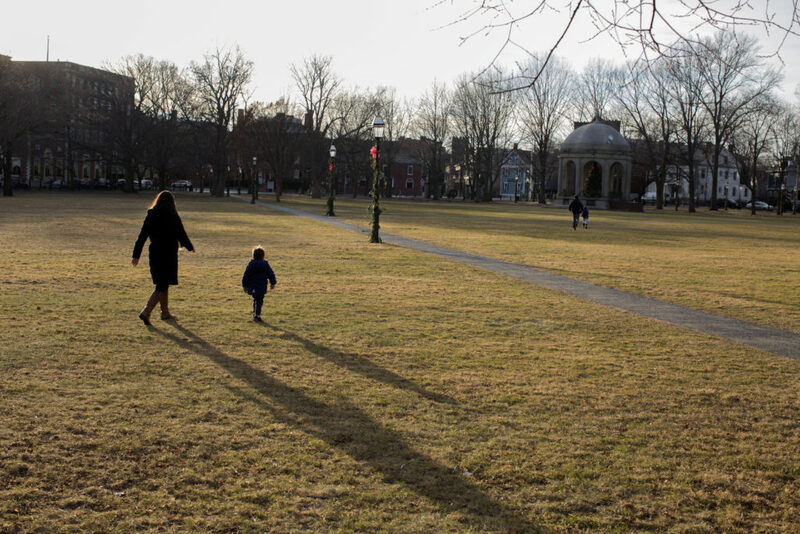 The High family walk across Salem Common on Holly and Eric’s ninth wedding anniversary in December. Warren and Eric at the playground. The hardest times are the happiest times, those moments when you feel good but also guilty for feeling good, as if even an instant of unequivocal joy without James is not allowed. Tonight is one of those times. It’s a Friday evening in December, the Highs’ new apartment in Salem filled with the everyday release once school and work are done. The kids come tearing in and they’re everywhere at once, wriggling out of their coats, hugging their dad around the legs, shrieking through every room in the house. Holly follows after them carrying a sheaf of Ellie’s artwork, a portrait of a pumpkin in thick brushstrokes visible beneath her hand. She yawns, still wearing her coat, as she picks the kids’ jackets up from the living room floor and carries them to the two hooks by the entrance, under the framed portraits of their three kids. Eric had procrastinated about putting up those hooks. The task, simple as it was, was a reminder that they only had two jackets, two schoolbags to hang up. In the same way, he and Holly hesitate when someone asks how many children they have. They don’t always want to reveal something so painful, so personal — at a work conference, or in the elevator — but James is one of their kids. Sometimes, they use Goldstein’s findings, telling people their son had a brainstem abnormality and died, so they don’t have to get The Look that comes when they talk about SIDS. Now Warren is on the kitchen floor doing his 2-year-old approximation of his big sister’s cartwheels, a kind of wiggle-somersault. Ellie is making a fort among the pillows of her parents’ bed. Each of these evenings is at once routine and unique, structured by parents, colored by the idiosyncrasies of little kids. Sometimes they go to the playground in the last of the winter light, racing each other across the frost-hardened grass. Sometimes Warren says no to every food in the fridge except cake, and his parents tell him that he can’t just eat cake. Sometimes Ellie makes slime, kneading dye in until it becomes the right hue. Sometimes, they have get-your-energy-out dance parties, Warren toddling circles around Ellie as she twirls and spins. This article was very well-written, which is unusual these days. Good job. Were there any well child visits performed prior to their baby’s death?